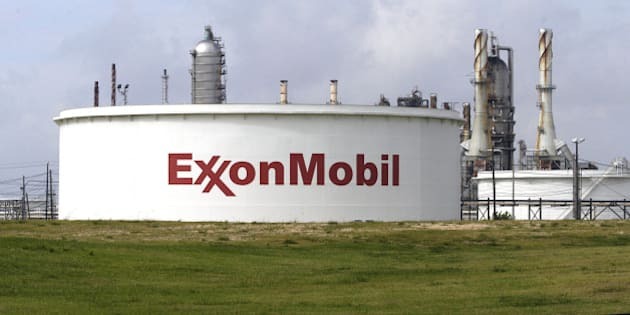 VICTORIA - Texas-based energy giant Exxon Mobil Corp., has submitted plans to develop what could be a $25-billion liquefied natural gas project near Prince Rupert on British Columbia's north coast. Exxon and its Canadian partner, Imperial Oil Ltd. (TSE:IMO), outlined a strategy for West Coast Canada LNG, or WCC LNG, in a 141-page report to the provincial government's Environmental Assessment Office. Exxon said in the report that it considered eight potential export facility sites in the Kitimat and Prince Rupert areas before deciding to locate at Tuck Inlet, which has a deep-water shipping area and is within easy access to marine transport routes. "(The) WCC LNG project will leverage the extensive expertise of both Exxon Mobil and Imperial to develop the project resource in a safe and environmentally responsible manner that integrates community engagement into every aspect of the business," the report said. It said Exxon has 40 years of experience developing LNG projects in Qatar, Indonesia and New Guinea and now wants to develop one in Canada. "WCC LNG project believes that Canada and B.C. are well positioned to further grow domestic gas production and provide globally competitive and sustainable LNG exports to attractive Asian and global markets." The report comes as world oil and gas prices are falling and other major LNG developers, including Malaysian state-owned Petronas, put their B.C. LNG export facility plans on hold. Petronas recently said it supports B.C. 's recent environmental and tax rules governing LNG, but is taking more time to review its bottom line before making a final investment decision. Exxon said if it decides to go ahead with the WCC LNG project, construction will start in two years and the plant expected to be in operation by 2024. It said between 1,000 and 6,000 construction jobs could be created. B.C. 's Natural Gas Development Ministry called Exxon's submission of its project description to the Environmental Assessment Office a major step forward. The province has formally requested that its environmental assessment process be permitted as a substitute for federal Canadian Environmental Assessment Agency's review process. The Canadian Environmental Assessment Act requires federal Environment Minister Leona Aglukkaq to approve the substitution request. The federal agency is seeking public comments until Feb. 2 on the project and its potential effects on the environment. Eighteen LNG project proposals are currently underway in B.C., but investors have yet to make one final investment decision. The B.C. government has pinned much of the province's economic future on LNG exports, saying the projects are equivalent to Alberta's oil sands in terms of jobs and revenue generation. The government says LNG could create up to 100,000 jobs and produce hundreds of billions of dollars in revenue. Last week, Natural Gas Development Minister Rich Coleman came close to guaranteeing in an editorial that 2015 would see LNG companies deciding to proceed with B.C. projects. The province's jobs plan, introduced in 2011, called for one LNG plant in 2015 and three in operation by 2020.